Now that it owns Nokia’s devices and services division, most of the talk surrounding Microsoft’s mobile hardware relates to phones and the types of changes Microsoft will make to the Lumia brand. But Nokia didn’t just make phones, and it looks like the folks at Microsoft are having a great time with the former’s wireless charging accessories. 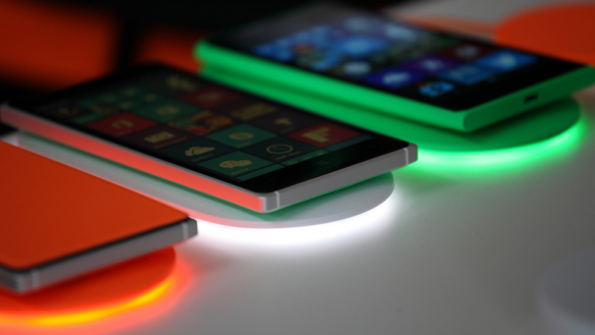 Nokia’s wireless charging plates were never all that exciting, save for their fun, Lumia-esque colour options. To jazz things up a bit, Microsoft has added a bright light to the underside of the device so that it gives off a visual cue when it’s actually charging a device. However, if you pair the device with your phone, it will also serve as a notification light for your phone, pulsing when you have a missed call or alert. The glow features only work with Lumia devices, but the plate itself will charge any smartphone that supports the Qi standard. The device is powered via USB and has three brightness settings. You can also choose to turn the light off completely if you don’t want it lighting up your cubicle. It’s priced at $60 on the Microsoft Store in the USA, but isn’t listed on Microsoft’s Canadian store just yet.